We have a real passion for the way our team's experience, knowledge and expertise has been empowering business and individuals since 2003. Whether we are working with an SME or delivering a large development programme, it is with a sense of pride and achievement that we help people to grow in skills, knowledge and confidence. Since 2003, CMBD has provided an integrated training, coaching and consultancy service that makes a real transformative difference to our diverse commercial and public sector client base. We achieve this because we have an extraordinary team of talented people who love what they do. 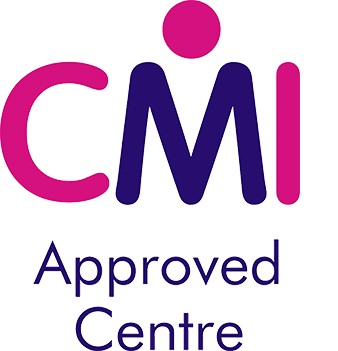 As a fully approved Chartered Management Institute (CMI) Centre, our trainers are able to provide RQF business and management qualifications from Level 2 Team Leader and Supervisor Programmes up to Level 7 Strategic Management & Leadership at executive levels. They also provide open courses, deliver in-house training sessions and create bespoke training on demand. Our coaches provide impartial and professional expertise to help managers and leaders to achieve their goals and ambitions and this is particularly valuable when supporting training. The combination of training and coaching has been a major feature of many of the programmes that we deliver on behalf of Growth Hubs, Universities and other business support organisations throughout the Midlands. CMBD’s consultants are experts in Strategy and Business planning and can help you with the development of Financial Control and Management Information Systems, Workforce & Leadership Development, HR Management & Systems, Marketing & Sales, Productivity & Profitability Improvement, Innovation and Value Creation. However, our greatest asset is our people's ability to combine core skills and functional expertise, delivering value for money solutions with tangible and sustainable results. Whether you are a Growth Hub or University looking for delivery of a business support programme, a multi-site corporate wanting a graduate management programme or a Managing Director wishing to develop your leadership team or yourself, CMBD have the proven solution and a track record of success. Our people are the reason we make a difference. They are commercially experienced as well as being recognised specialists in their individual areas of expertise. It is this extraordinary depth of talent and knowledge that enables us to do what we do. Not only do we love what we do, we love where we do it! Hexgreave Hall is set in 1000 acres of Nottinghamshire farmland and provides the perfect environment for us to provide our training, coaching and consultancy services.